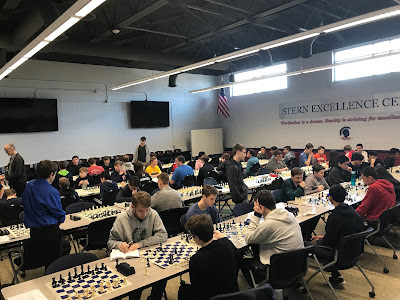 Our high school team also belongs to the SMCA (Scenic Moraine Chess Association) and we had our opening season even this past Saturday, hosted by Brookfield East. 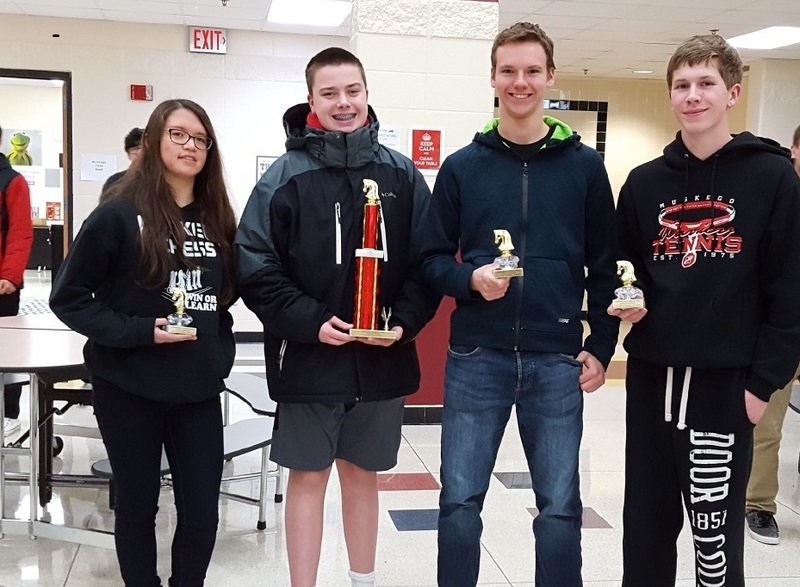 Congratulations to the Varsity team of Will, Alyssa, Adam, David and Aaron for playing some good matches against some tough opponents. These are 5 vs. 5 (our top 5 against opponents top 5), G60 matches, and we beat Hartford and New Berlin West, and lost to Brookfield East. Noah joined the JV section and took 3 out of 4 and finished in 12th place overall! We will play Eisenhower in January, and finish against Kewaskum, Brookfield Academy and Jefferson in February. Anyone in our club 7th grade and up is welcome to play. I've been getting questions about doing another Apparel Order. If that happens, it'll be in January & will be back in time for State (March). 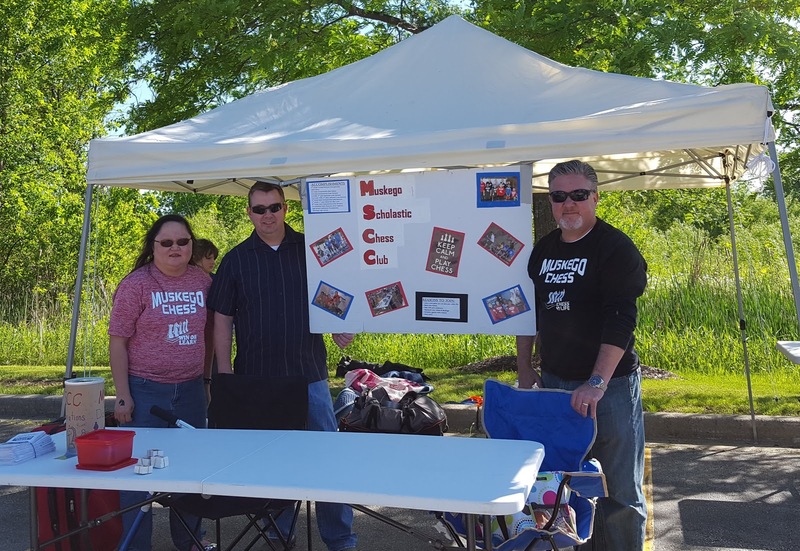 The Vendor would like a minimum of 12 orders for screen print (t-shirt, sweatshirt, etc.) & there's no minimum for embroidered orders. If you'd like to order, please let me know so I can have an idea of I get 12 items/orders. 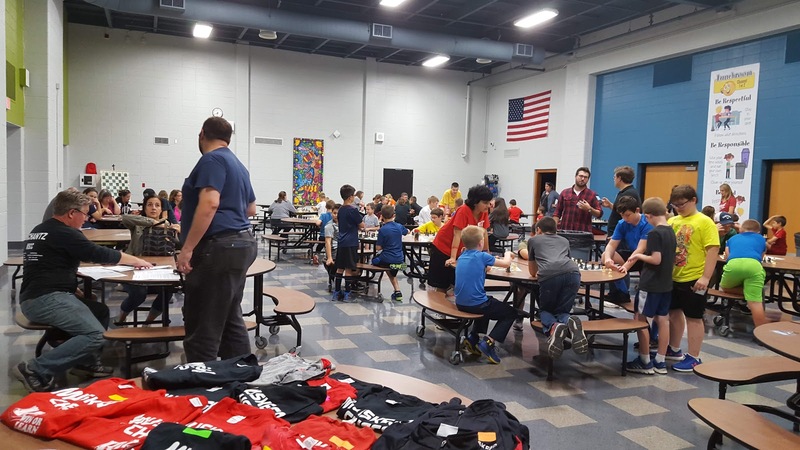 We had a great turnout & tournament yesterday at LDMS for the annual Muskego Melee run by the International Academy of Chess! 93 players from Muskego and surrounding communities participated in 3 rated and 1 unrated section, and took home first place team trophies in all rated sections! 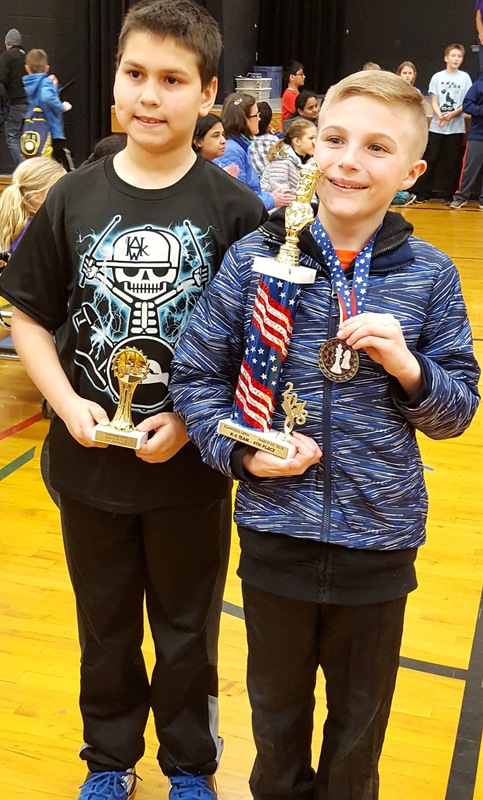 Cael led the way with 3 wins and a 10th place finish. He was follow closely by Will B and Carson. 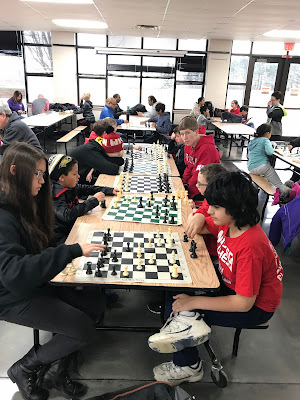 We had five players in their first tournament! 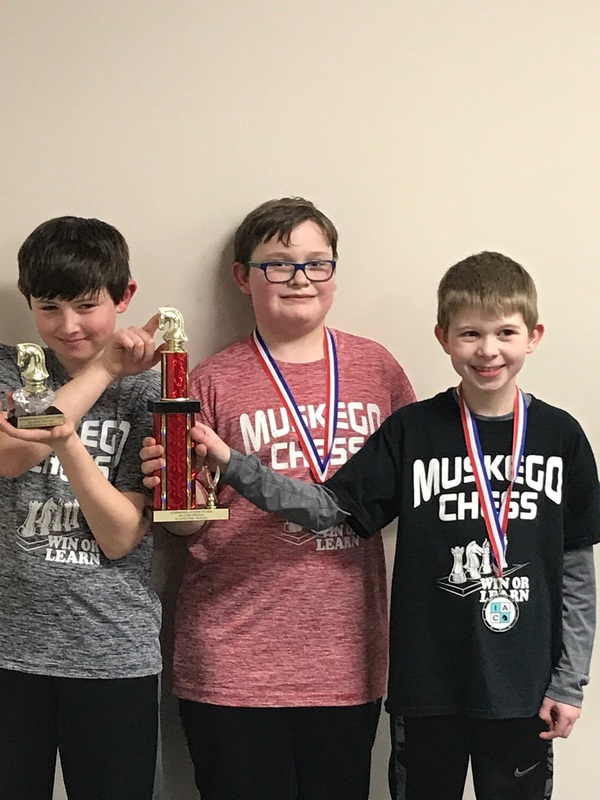 - Owen, Logan, Charlie, Grant and Kendyll and ALL of them did a great job and got at least one win. 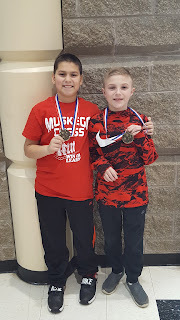 Anthony led the way with 4 wins and a 2nd place finish! He was followed by Lucas with a 5th place finish. 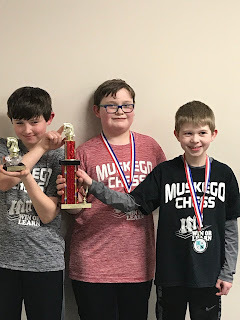 Lucas, along with Lexi and Gideon led the Mill Valley team to a 1st place finish! Steven led the way with 4 wins and a 2nd place finish! 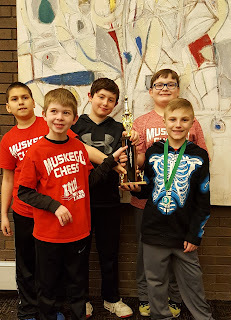 Steven, along with Andy, Luke, and Nelson took the 1st place team trophy! Will led the way with 2-1/2 wins and a 4th place finish, followed closely by Alyssa, Noah, Adam and David. 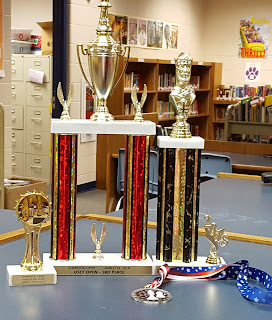 The MHS team took the 1st place trophy! 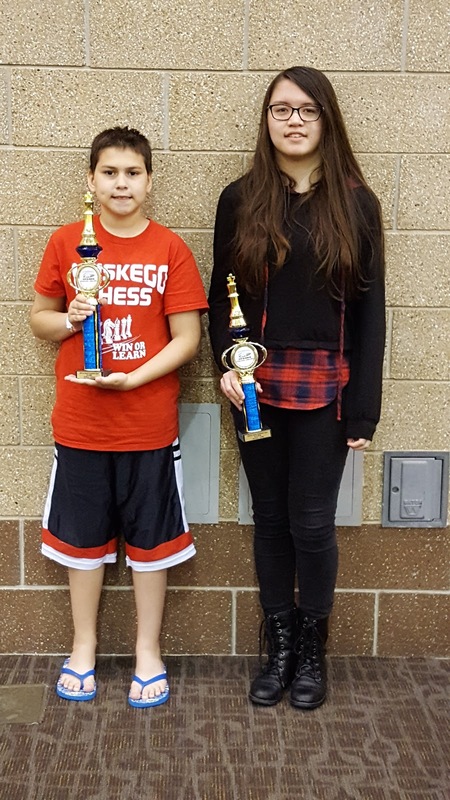 Special thanks to Mark Nagy and LDMS for all of the support and help, without whom this tournament would not be possible! Also thanks to Coach Andy of the IAC for another well run tournament, and thanks to all of our concession helpers to make it all run smoothly! 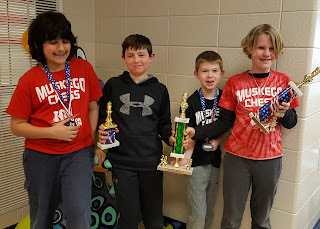 First tournament for the chess club this year - MSCC brought 11 players to the tournament today that was run by Coach Andy and we had a great time! There were 104 players in all. The K3 section was combined w/ K6 to make a bigger section, making it tougher for Lexi but she did great and took K3 6th place. 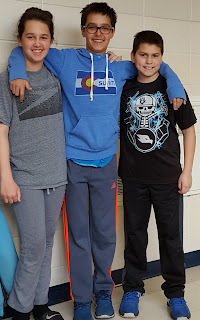 Luke & Andy combined for LDMS, Anthony played up to K6 for BL, and Rishi played in K6. 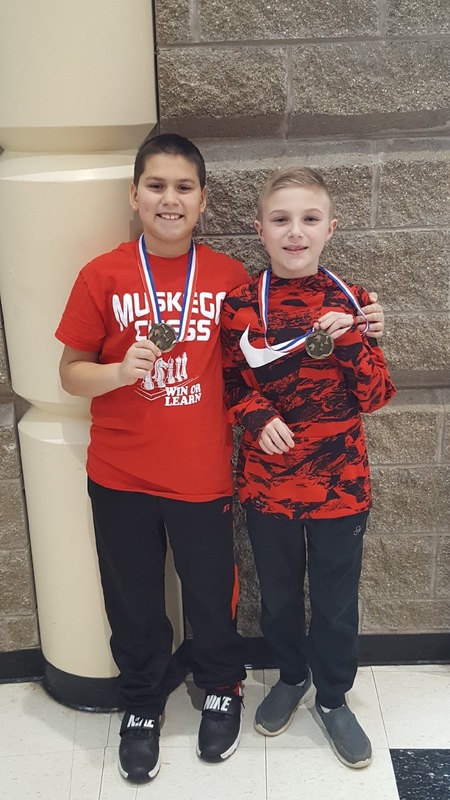 Lucas played in unrated K6. All had their ups and downs but had some really great wins! 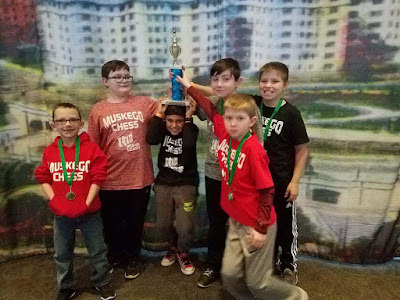 In the K12 section Steven played for BL and Alyssa, Aaron, Adam and Will were the MHS team and took 3rd place! Will took 6th place individual! Nice job to all, looking forward to the Muskego Melee on Dec 1st! I know Dan sent an e-mail out but I'm going to post the link to sign up w/the Muskego Melee Tournament on December 1 on the blog & FB (in case anyone gets their info on social medial like me). If you have any questions, feel free to ask Dan, Ryan or myself. 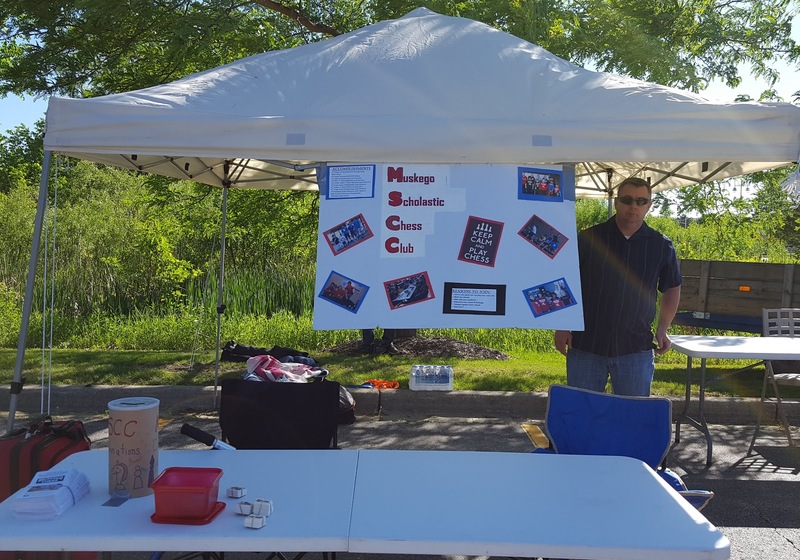 Mill Valley is new home for MSCC lessons! Come see this new great space - every Wednesday from 6:30-8 in the cafeteria! Mill Valley was actually one of the first places we played as a club, way back in 2006 (if not sooner) under Mark Seghers. We're happy to be back! 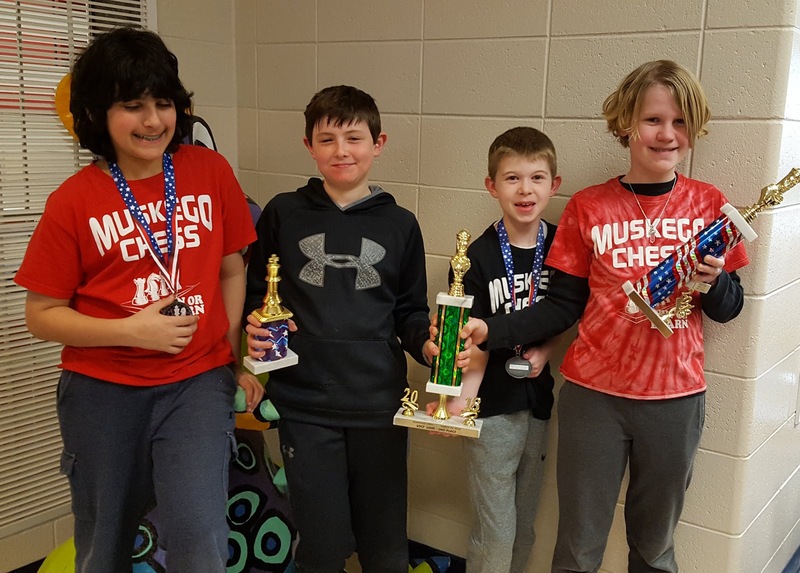 Register now for the 2018/2019 season right here at Muskegochess.com! 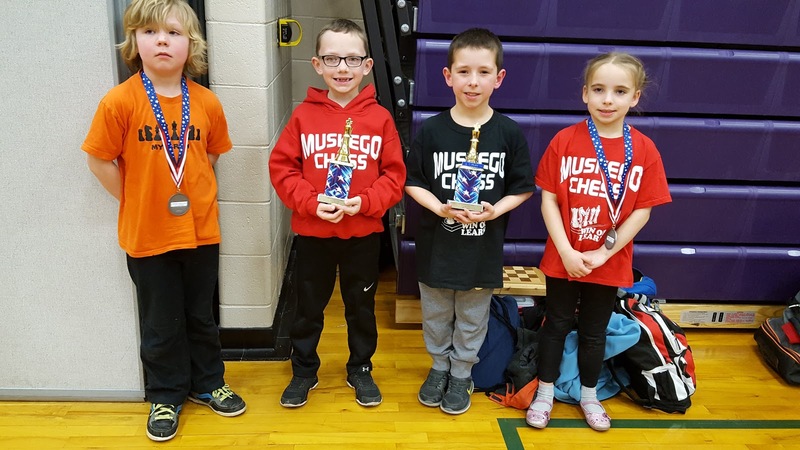 The registration link is all set for the 2018/2019 Chess season. Please start signing up & our first meeting will be Wednesday, October 3 from 6:30-8 pm in Rm 243. See you then & lets have a great year! It has come to our attention that at least one school is giving out incorrect information. 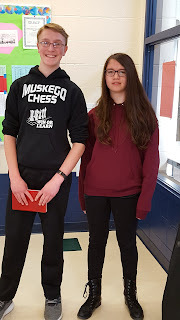 The correct information is we will be meeting Wednesday nights at the Muskego High School from 6:30 pm - 8 pm in Room 243 (if in the cafeteria, it'll be on the calendar). The season starts October 3. If you have any questions, don't hesitate to ask & remember practice! I hope you've been enjoying your summer! Just a reminder that "Open Play" resumes this Wednesday (7/18) at the library from 6:30 -8. Next Wednesday (7/25) will be the last "Open Play" for the summer. 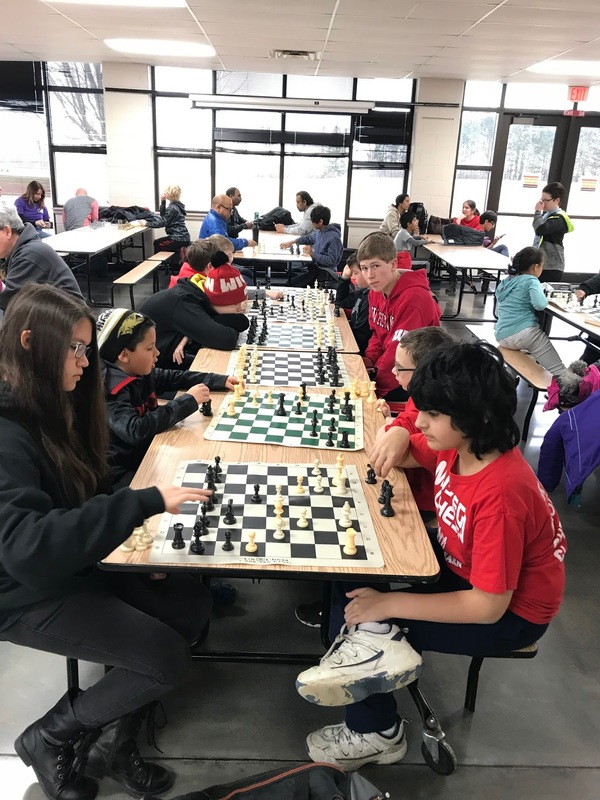 Chess tentatively will resume Wednesday, October 3. If you have any questions, feel free to ask any of us. Tonight starts the Open Play at the Library from 6:30-8pm. 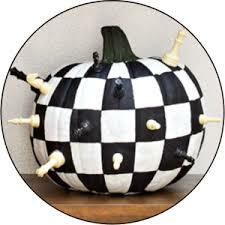 This is a good way to keep up your chess playing or just have fun. The dates this will be going on is June 13, June 20, June 27, July 18 & July 25. We still need volunteers for a couple dates. Don't worry if you don't know much about chess, it's more of a supervisory role. The traveling bag will be in the closet/back room so just ask Abby (from the library). Thank you & enjoy your summer!! The weather was a little on the cooler side last night but the event was fun. We handed out flyers & promoted the club. 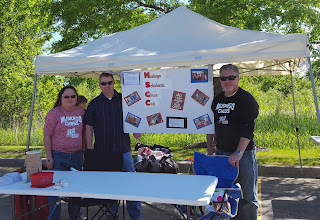 Thank you to all the volunteers & to anyone that stopped by & said hi! Next Wed. starts "Open Play" at the Library from 6:30-8 pm. We still need volunteers for some dates. Your role is a supervisory one. And the library open play. Don't worry if you don't know too much about chess, you're there for more of a "supervisory role". If you have any questions, please don't hesitate to ask or contact Dan Schantz, Ryan O'Leary or myself. Thanks! 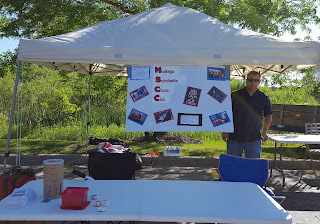 MSCC was represented by Josh (1st time) & Alyssa. Friday night, there was an option to play Blitz which Josh rose to the challenge. 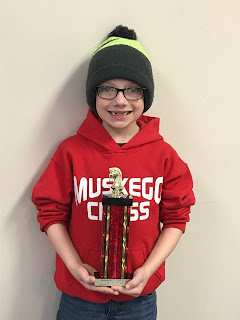 Josh won 4 games which earned him a trophy. The regular tournament was held on Saturday & Sunday. Josh played 3 games each day, had a total of 4 points which earned him another trophy! Alyssa played 3 games on Sat & 2 on Sunday. She earned 2 points which also earned her a trophy. If anyone's interested, Joe Krauser has an extra room, he'd be willing to transfer the room over to your name & you pay him for it. Please let me know no later that Monday, May 14 if you're interested. Also, we'll have a tent at Jammin in the Library Parking Lot (June 1). We'll need volunteers for that. A sign up link will be coming around for that. We'll also need volunteers for the Library Summer Open Play on Wednesday, from 6:30 pm - 8 pm. Don't worry if you don't know much about chess. It's more to supervise to make sure the kids don't get too rowdy. That too will have a sign up link coming around. 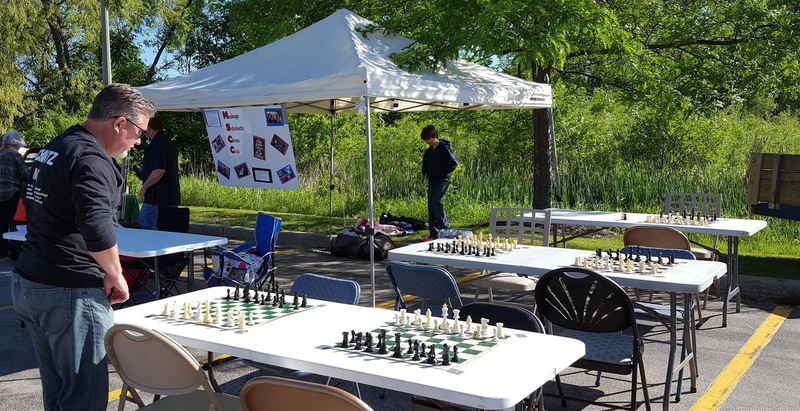 Enjoy your summer & remember to practice chess! Team consisted of David & Alyssa. As a team, they took 3rd pl. David also placed 7th individually & took 1st place in Class U900. The Lake Denoon Team which consisted of Logan, Nelson & Luke took 2nd place as a team. 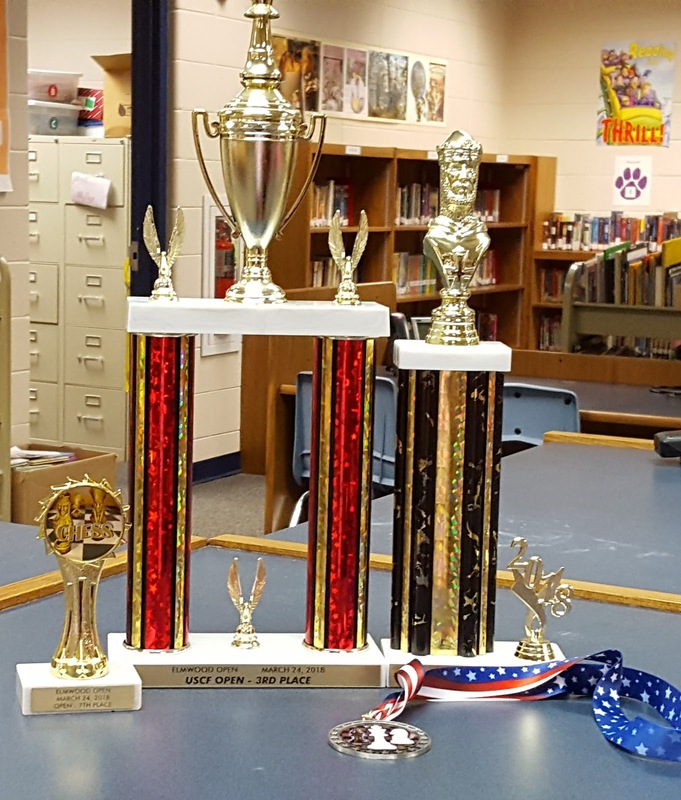 Individual results- Logan took 4th pl, Nelson 9th pl & 1st pl Class Trophy foot U400, Luke 26th pl. 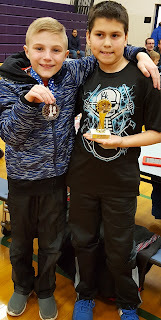 While Steven took 20th pl & Rishi 17th pl. 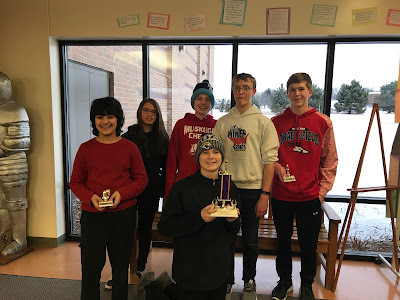 The team of Josh, Logan G, Jack, Sarah & Nate took 4th pl! 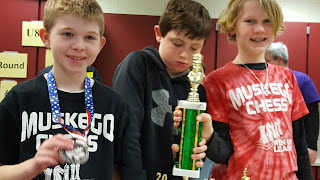 Josh took 8th pl, Logan came in 44th pl (& this was his 2nd tournament) & Nate 34th pl. Sarah & Jack both had 2.5 points each. 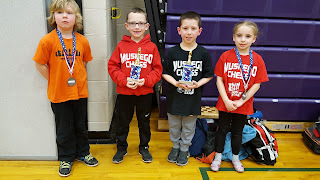 Anthony placed 4th, Lexi in 42nd, Lucas in 6th pl & Gideon in 23rd. Good job to all players! 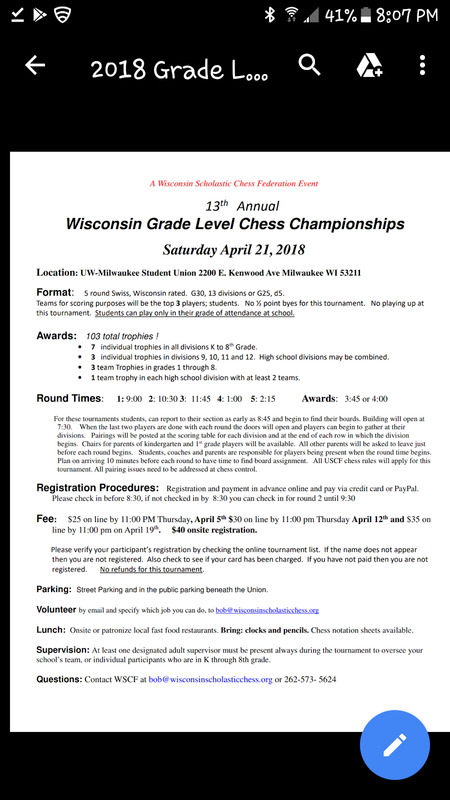 The next tournament will beApril 21, Grade Level at UWM. The MSCC brought a big group of 17 players to the UW Oshkosh campus this year for what has become our annual highlight of the chess year. It was a fun, super-sized, and well-run event with 430 players from around the state! We were so proud of how our players performed and conducted themselves this weekend - playing some really good matches in the K5, K8 and Varsity sections. 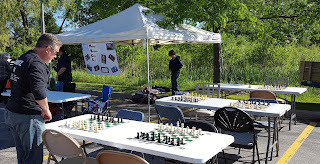 Results will be posted at http://wischolasticchesschampionship.blogspot.com/ by Thursday. Next week Wednesday (March 14), we'll be having a pizza party from 6-6:30 pm. We ask for a donation for $5/per person & that everyone starts out w/2 slices to make sure there's enough pizza for everyone. 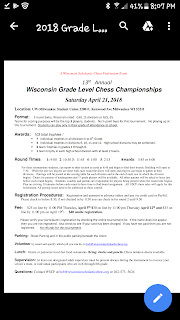 This is open to the chess players & their families. If anyone would like to bring something, please let me know. Also, I have some "extra" apparel that are both adults & children sizes. Some are brand new while others are "gently used". I will have the apparel at the pizza party as well. 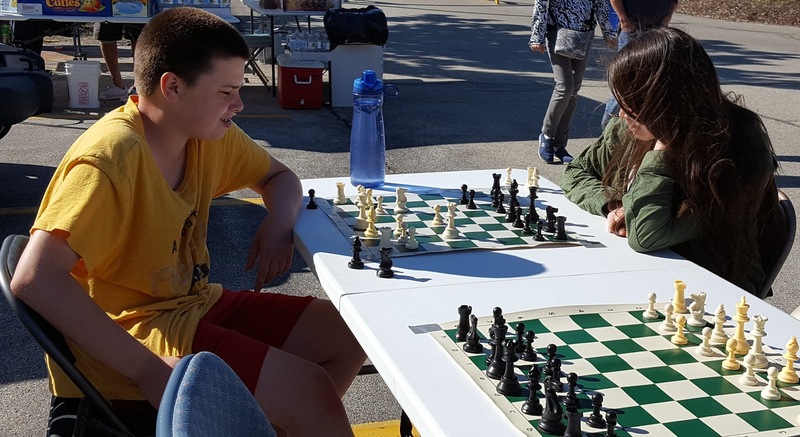 It looks like our chess season is winding down but here's a few tournaments to put on your calendar. That's it for the club but I'd like to tell you about another tournament that happens in May. It's called Ice Harbor & is held in Dubuque, Iowa. Not that far of a drive - a nice weekend getaway. We've been going for the past three or four years. The tickets for the Resort include wristbands for the Indoor Water Park & there's a game room. Plus there's a museum down the block. If my recollection serves me correctly, if there's 3 or more in a section, we could play as "MSCC".